Sometimes saving money on groceries is just plain ol’ hard. One week you’ll have a plan to use up what’s in the kitchen and supplement with the great deals at the store. Then the next week nothing is on sale AND you’ve got a bare kitchen (because you ate it all last week). All the money you saved that first week? Gone. Oh goodness- you’re so not alone! Spending less on groceries literally happens one shopping trip at a time. It’s 50 cents here, a few bucks there. It’s choosing to eat stir-fry over millet because it’s in the pantry, and not making a trip to the store for rice. Seriously, the grocery budget is a war fought over many months, if not years, with each menu plan you write and each item you put (or don’t put) in your cart. With that said, I know you need to see results in the bottom line, fast. Like, last week fast. Some unexpected bill arrived – or something broke or leaked or whatever it may be – and they don’t care that you planned to use that money to go apple picking next week. So let’s get to work. I have a few tricks up my sleeve that keep our budget in check month after month. If they can help me, I know they can help you! (1) Stop buying salad dressings. Salads are a GREAT way to eat more fresh fruits and vegetables. And commercial salad dressings are an excellent way to negate any health benefit you might get from them! Most salad dressings are filled with something to make it taste good (sugar), something to make it creamy (lecithin) and something to make it taste “fresh” even though it’s been sitting on a shelf for well over a year (preservatives). Stop spending $2-5 PER BOTTLE and start making your own instead! Combine ingredients in a blender and process. Alternatively, combine ingredients in a jar and shake like crazy! 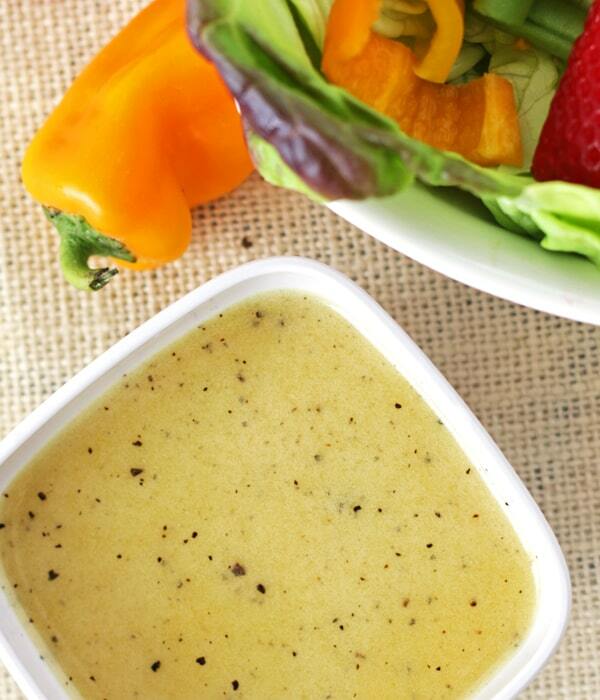 Tip: Turn any vinaigrette dressing into a “creamy” dressing by substituting plain yogurt for the olive oil. 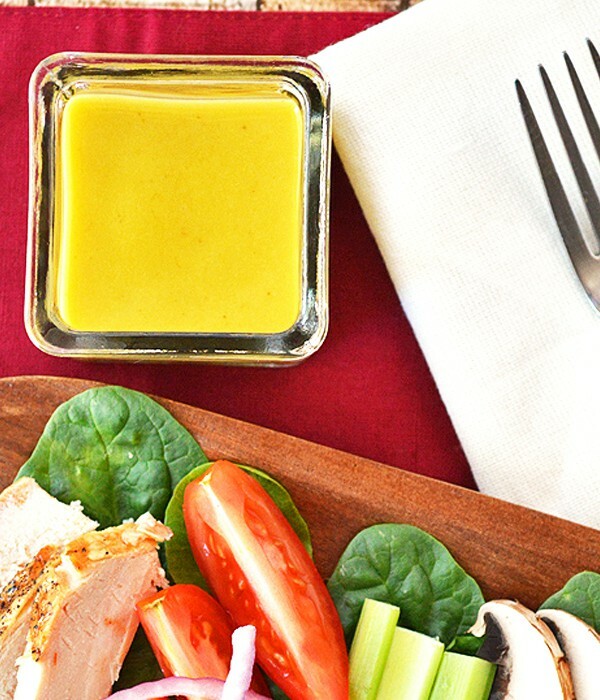 Now you have FOUR homemade salad dressing recipes in your arsenal! Seriously, just stop. I know it’s easy to have them on hand, but you’re paying more for the packaging than for the food really. And if you’re looking for some that are allergy friendly? Fuhgettaboutit! 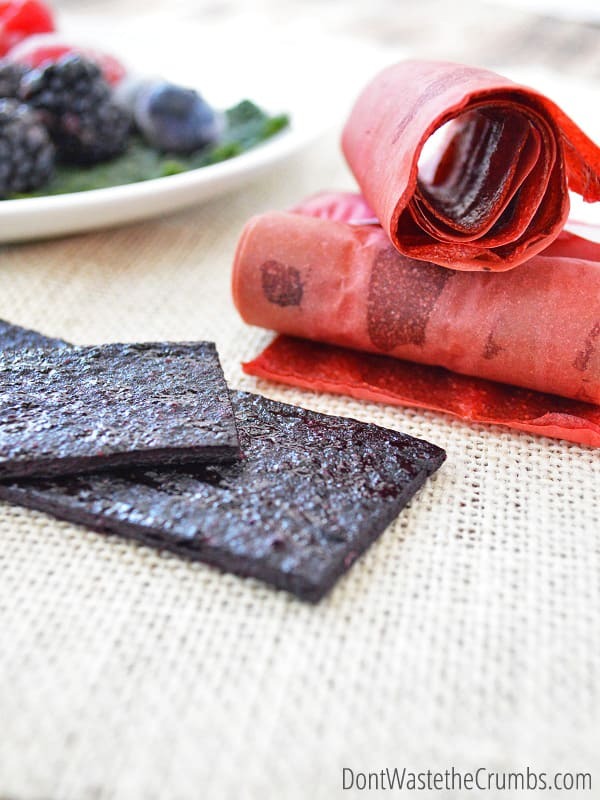 Most boxed snacks have SOMETHING in them to keep them shelf-stable, or they’re processed in a way that prevents them from going bad. 2. When the family is hungry, pull out the box and leave it on the counter for them to pick/choose their snack(s). Put it away when they’ve chosen and make them wait until meal time to eat again. (3) Stop throwing food away. By no means is this an exhaustive list, but it helps to show how much food we throw away that is still perfectly edible! In a medium saucepan, cover vegetable trimmings with just enough homemade chicken stock or water. Bring to a boil and then simmer for 20-30 minutes, or until vegetables are very tender. Either strain for a clear broth, or puree using an immersion blender. 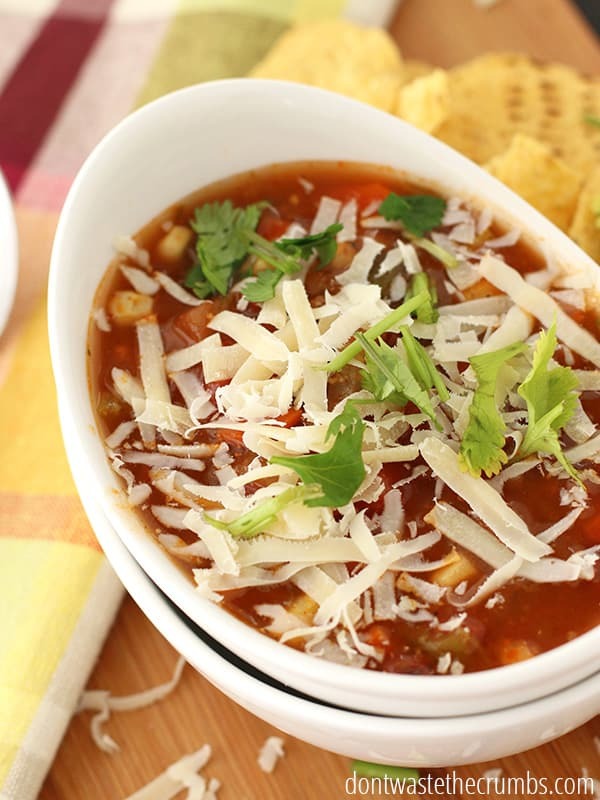 Add broth or puree to soup recipes to boost nutrition and reduce food waste! There’s plenty of ways to mitigate this though, especially if organic food is a priority to your family. First, only buy organic what you eat a lot of, and what you whole-heartedly believe is worth it. The sesame olive oil that you only use 1 teaspoon in once a week? Doesn’t need to be organic. But the chickens or produce you’re eating at every meal? That should rank a bit higher on the list. 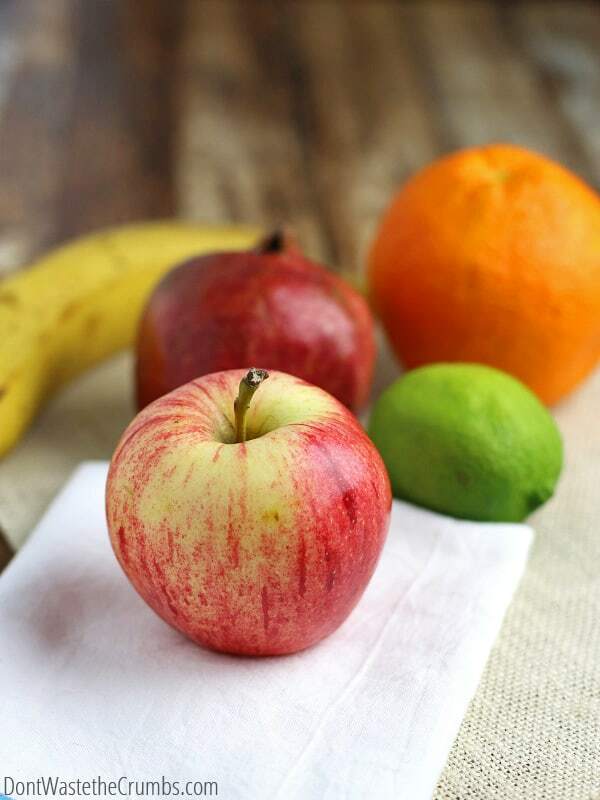 Learn how to find affordable organic food in your area and shop the Dirty Dozen and Clean Fifteen. Find ways to enjoy the farmers market without going broke and learn what the stickers on produce mean at the grocery store. (5) Learn to like beans. Tough. Learn to to like them. 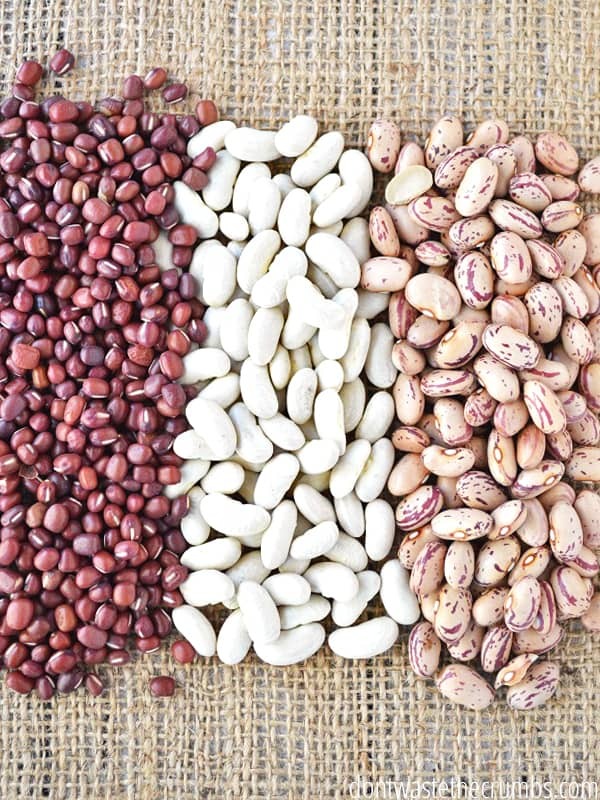 I know beans aren’t the most glamorous food, but you need nutrition, they’re a nutrition powerhouse and they’re cheap. Find a couple varieties that you can tolerate and eat them often. Garbanzo beans, white beans and brown lentils are the friendliest types of beans for beginners. Make bean burritos, eat them over rice, add them to burgers, make hummus, bake brownies – do what you have to do to eat them at least three times each week (including all meals, not just dinner), especially if you’re cutting back on other protein sources. (6) Focus at the task at hand. It is SO easy to get distracted by the pretty packaging and the different varieties of foods at the store. I found myself oohing and ahhing over cheese just last week! Always shop with a list and stay focused. In fact, shop as if you’re already late for an appointment. Without kids if at all possible, and definitely not hungry. Folks! You’re on mission to get in, shop the list, and leave. Viewing this errand as an excursion or something fun to do is a sure-fire way to ruin the budget. Don’t get distracted by things that are not on your list and don’t even bother going down the aisles you don’t have to! 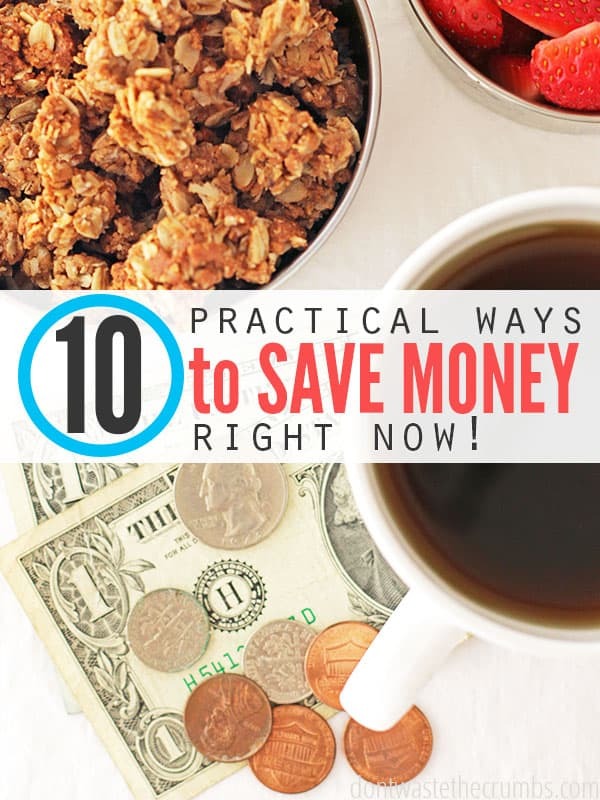 When the budget is super tight and you need to pinch pennies stat, what small steps do you take to save? I really like these ideas however, I end up spending more money some weeks because the store will have ‘unadvertised’ deals. They are usually extremely good and may only be on for that day. For example mustard that we buy and is 3 dollars a bottle will go on for 1 dollar… I end up buying 10 of them, if two or three products are on sale like that it can eat up a good 50 dollars. A good brand of frozen pizza’s were on sale for 1.25 each regular 4.50. We don’t each processed foods very often but this price was so cheap, a person could not make a pizza for that price. It saves in the long run but it eats into that week or month’s budget. Grocery shop once a week instead of running to the store every few days. There is always something to catch your eye and tempt you to buy even if you are only there for one specific item. Planning your menu out for a week, even just for the main meal each day, makes it much easier to know exactly what you need so you can have it available. If you don’t like to feel tied down to a specific meal on a specific day, make a list of meals to cover the week, and choose which one to fix each day (don’t forget to plan for using the leftovers). I do everything as naturally as possible but am so guilty of buying salad dressings when I know how easy they are to make. Well that stops now! Thank you for the ideas and recipes. Thanks Tiffany, these are great! This is so me, Ha! No more … I’ve known for a while that temptation starts with the eyes. I am going to work on getting “in and out”. My tactics are; shopping once a week or less, making homemade salad dressings, mayo, Spaghetti sauce and BBQ sauce, gf flour blend, spice blends, etc. Definitely not buying packaged snacks; I believe it makes mealtimes much more enjoyable anyways. Buying in bulk if the price is better and then prorating the costs over the next several months (using a savings account). Beans are tough Desiree, and we struggle with it too. One way is to find out what they like by talking to them, and just serving that once a week or every two weeks. If they like bean burritos, would they like chipotle-style rice bowls with beans? DH recreated our meat sauce by adding lentils to it. We love it even more with the lentils than without. Wow! That’s a great idea Debbie! I have a few different lentils too… which kind did he use? Yes Jessica! I did this too when I was in a typical work environment, and I still encourage my husband to take advantage if the food isn’t too poor in quality. Thank you for sharing! Just read my first “Don’t waste the crumbs ” email I signed up for. I need to confess, I had just glanced at your site and decided why not get this info sent to my inbox. Wow! I am so completely impressed with every tip offered, every recipe gets checked over, and atleast two of these have made the cut. Now, we are thankful to have learnt to live with little, and learnt to live with much. Our life style has changed a great deal since our children have their own families. Once again we must reajust our spending, as my husband has just retired, and we will be living on a fixed income( much less, might I add ). After reading your web site I was invigorated and challenged by our newest set of circumstances. You have kick-started my need to be far more created with looking after the home-front. I want to do this with as much pizzaz and joyful experimentation as I can. I do have many years of experience to draw upon, but times have changed and there is a plethora of new ways to do up financial limitations with a flare! So, rather than beginning this with a groan, I’m excited by your creative suggestions. Some are new for me, others are just fantastic reminders to get back to our roots once again. Tiffany, thanks for the inspiration and I would be remiss if I didn’t tell you, how much I look forward to all your wonderful up-coming email. Truly grateful for you and your latest findings. I really am pumped about your web site and plan to spread the word to all the people I will come across, whether seniors, or recently unemployed, or those who love to do thing up with a bang, and not so much the buck!! !